great year for my ferns. 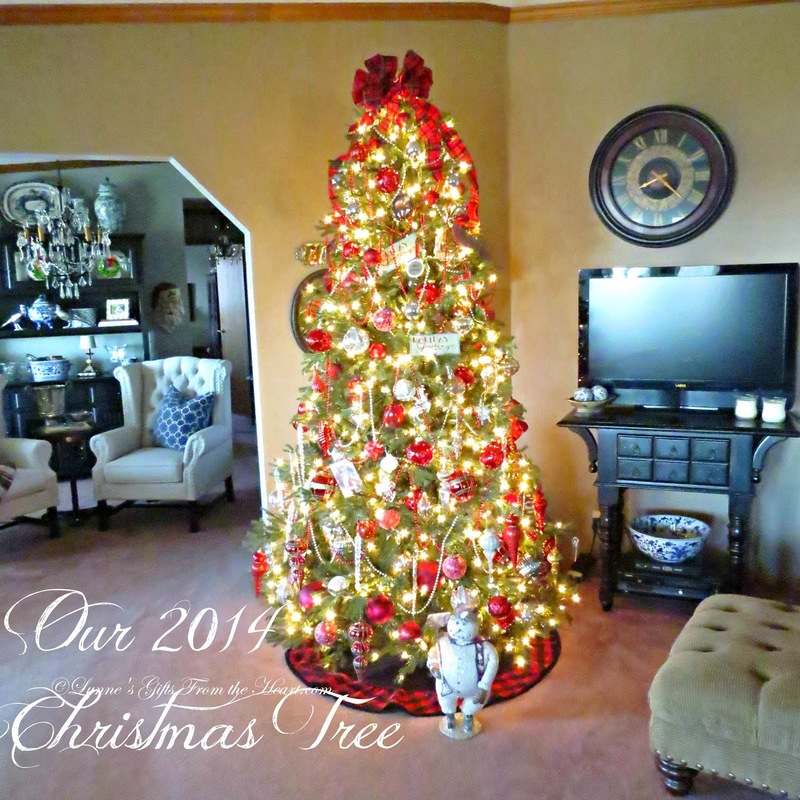 I thought I would show you how large they've gotten this year. This is one of the many things I enjoy about my front porch. I don't look forward to the day I have to take them down for the winter months, the front porch seems a little on the bare side, not quite as happy, I'll try to share the full porch before that happens. I get a lot of questions asking what I do to have such large ferns. My front porch faces SW with hot hot sun on it most of the afternoon. I water them daily until the water pours from the bottom, take the hose and mist them while they spin, and a good feeding weekly. Voila' beautiful ferns. I knew the forecast was calling for rain but that doesn't detour me from sitting on the porch. Naturally my faithful companion is always close by however, Miss Scooter does not like storms. 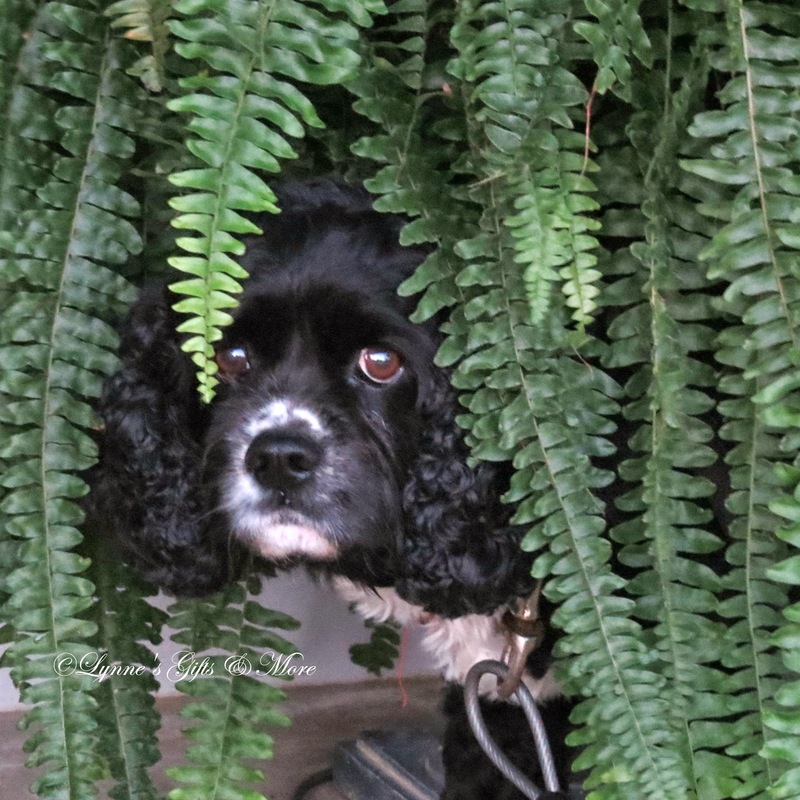 As I was heading inside for something I noticed she was hiding under one of the ferns that sits by the front door, I couldn't resist taking a few shots. Sometimes you have to share a happy post that puts a smile on your face, with no rhyme or reason to it. I hope all of you have a safe fun filled Labor Day Weekend. Lynne, your Miss Scooter is so cute. My dogs do not like fireworks - we get no thunder or lightening but the fireworks really scares them. Your ferns are so beautiful and lush. Can you bring them in for the winter? Your ferns are just beautiful. What a cute picture of Miss scooter. My granddaughter's little dog is terrified of storms. Pets are such a comfort aren't they. Lynne, this is a happy post. Miss Scooter is adorable! I'm pinning one of these pictures to my "Makes Me Smile" board. 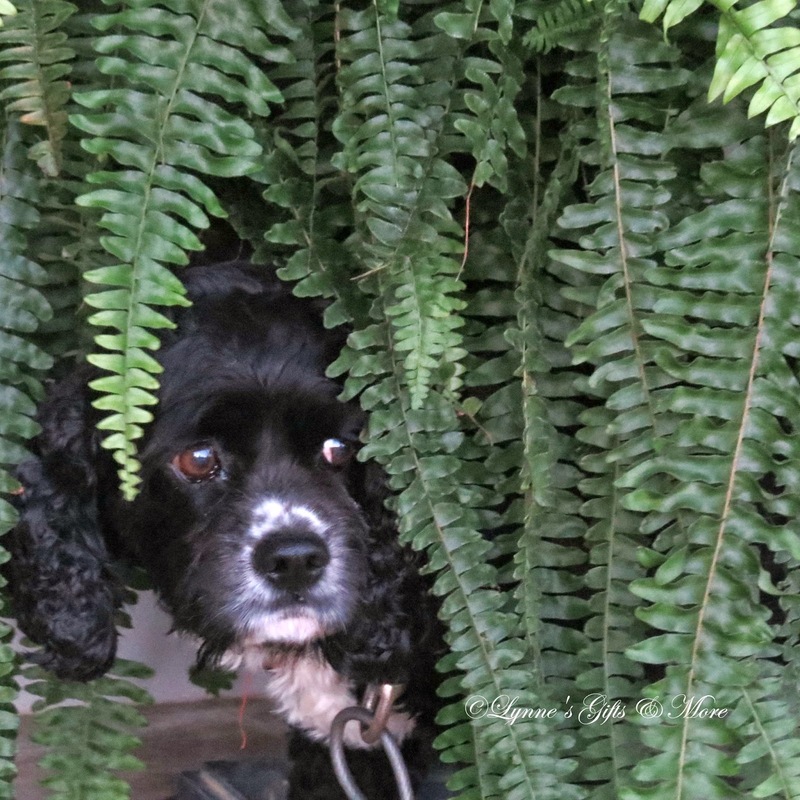 Beautiful ferns and a definite cutie pie! I don't blame her, as I don't like storms either. Your ferns are healthy and pretty. Have an enjoyable and safe holiday weekend. 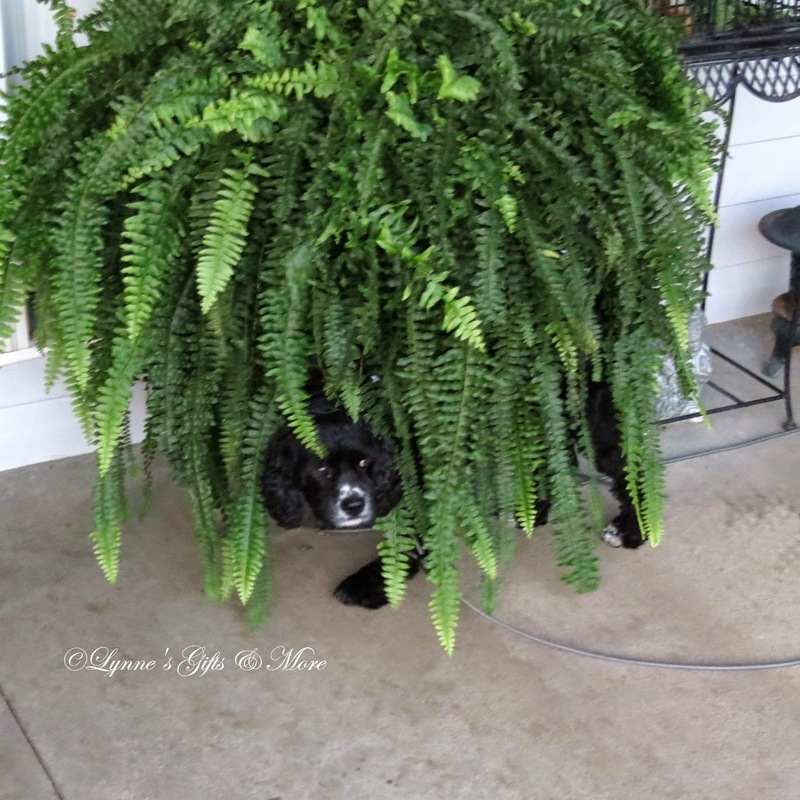 Since I love little doggies and lovely big ferns and pretty porches..this post was perfect for me. She is just adorable..little miss Schooter, I mean. Pets enrich our lives in wonderful ways!!! Miss Scooter is pawsitively adorable!!! 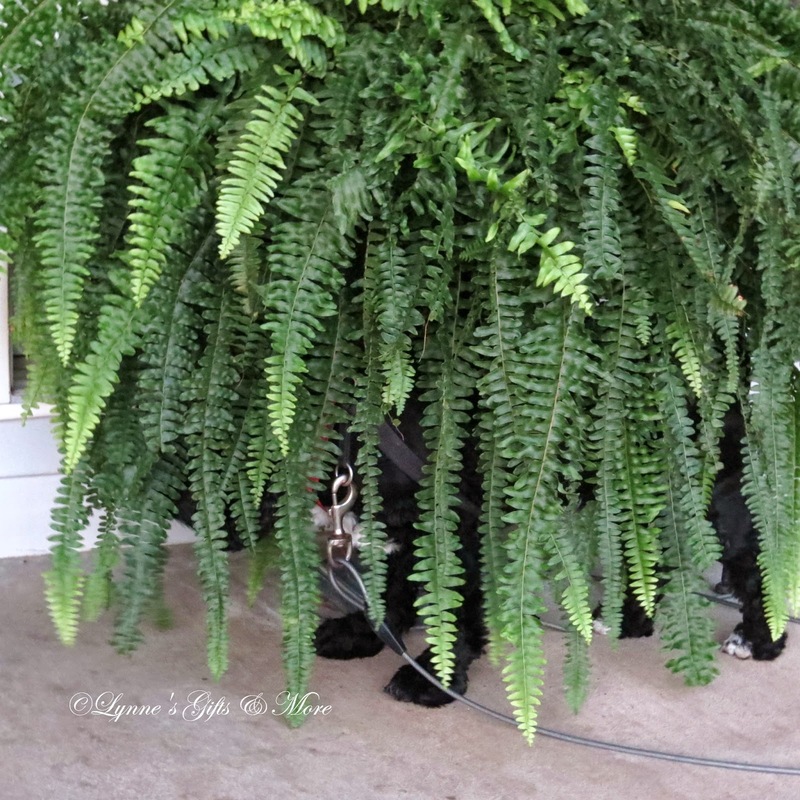 Hello Lynne, I'm kind of late to the post, but happy for the tips on caring for ferns. Sounds like you've got it down to a science :) I've just moved into a larger house and my daughter-in-law and I are educating ourselves on taking care of house plants. She keeps giving me more house plants. 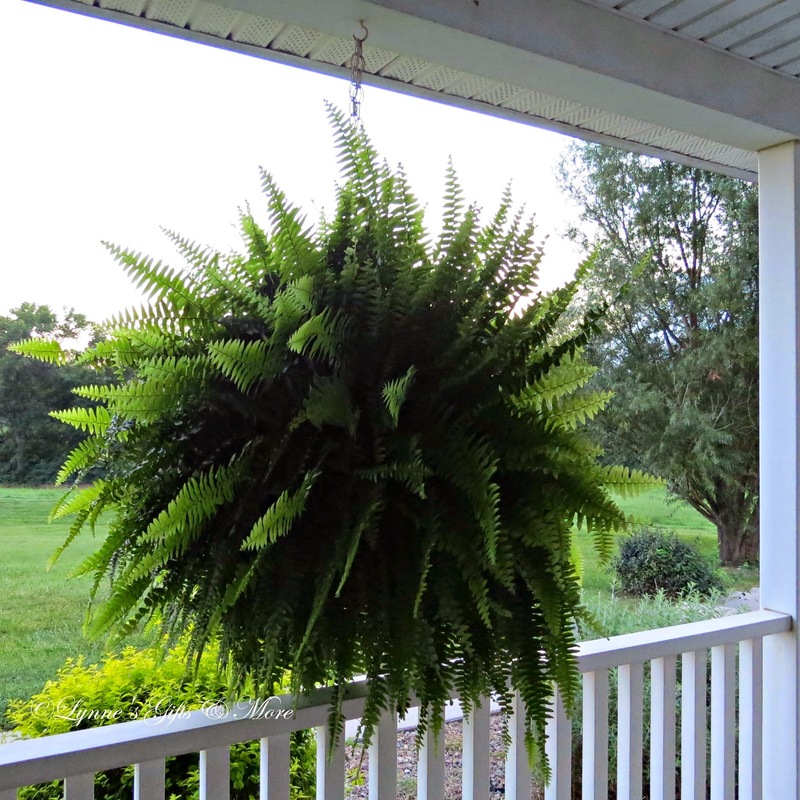 I would like to hang some ferns outside as you do on my northwest porch during the summer. 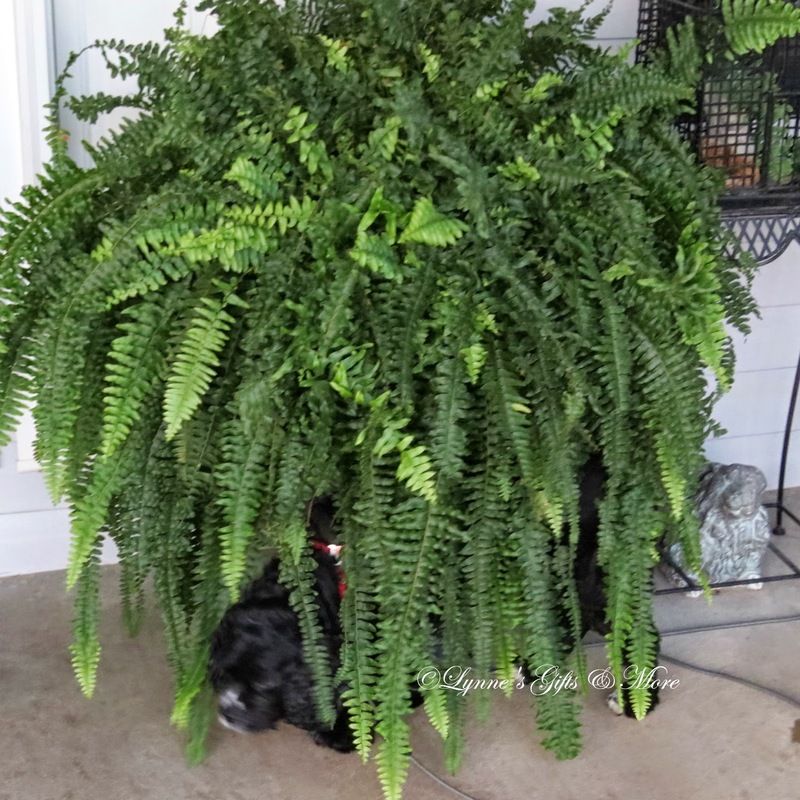 Do ferns do well indoors in a northern climate over winter?